Japan increasingly finds itself amid an unsettling security environment. The growing capabilities of the Chinese and Russian militaries coincide with intensified air and naval activity against the backdrop of unresolved territorial disputes. On the Korean Peninsula, the erratic regime of Kim Jong-un alarms its neighbors with provocative rhetoric and missile tests. And in Bangladesh and Indonesia, violent Islamic extremism extends its reach with ISIS-supported attacks. Recognizing problems with the status quo, Prime Minister Shinzo Abe’s government has undertaken a combination of policy and budget initiatives to better provide for Japan’s defense, strengthen the Japan–U.S. bilateral security relationship, and facilitate a more active role in regional security. The new defense guidelines introduce a modified concept of collective self-defense and provide a basic set of conditions by which Japan’s Self-Defense Force (SDF) can contribute to future allied military operations. A key element of the updated policy is the elimination of previously imposed geographic constraints on the activities of the SDF. With increased funding, Japan is also expanding its operational capability beyond the current defensive-centric force. This includes forming a marine amphibious assault force and buying such advanced aircraft as the F-35 Joint Strike Fighter and the MV-22 Osprey. But Japan still lacks a key element of military power relevant for emerging challenges in the region—a flexible, long range strike weapon. 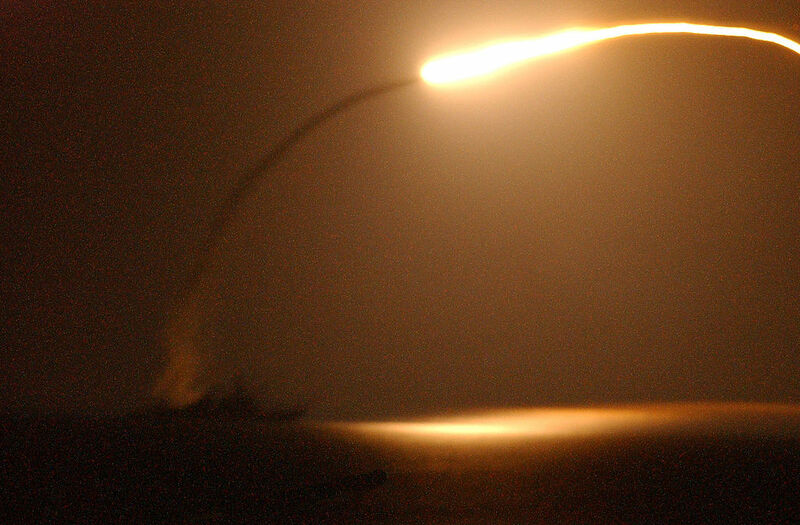 The Tomahawk missile has long been a centerpiece of the U.S. military’s long-range precision strike portfolio. A sea-based weapon with a 1,000-mile range and a 1,000-pound warhead, it brings a proven proficiency for attacking well-defended, high-value land targets. New upgrades, including the ability to hit a ship, ensure the missile’s operational relevance beyond the next decade. The precedent for providing Tomahawk to allies was established nearly 20 years ago when the United Kingdom acquired 65 missiles. It is time to expand the “user club” to include Japan. Japan is increasingly vulnerable to North Korea’s ambitious ballistic-missile program. 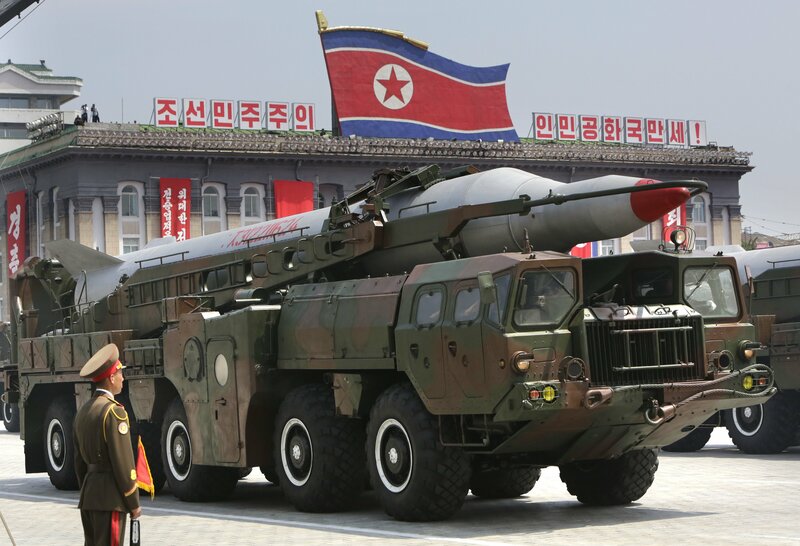 Aided by Iranian technology, North Korea’s missiles have longer ranges, greater mobility and are more reliable. Reports of recent technological advancements—such as a solid-fuel rocket engine that cuts launch preparation time—further amplify the severity of the challenge. Japan lacks a balanced range of options to respond to North Korea’s threats and provocations. While their shore-based Patriot missile batteries and AEGIS-equipped destroyers can be an effective missile shield, they do little to prevent further escalatory actions. Tomahawk transcends the current defensive systems and provides a responsive deterrent option. 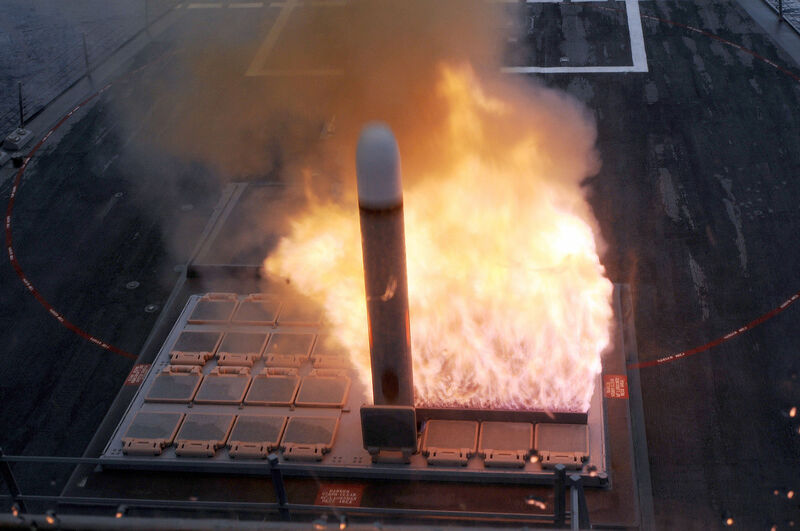 Long-range and lethal, Tomahawk can threaten targets related to weapons production and missile development. And since it is sea-based and mobile, it is more difficult for the North Korean military to plan for and counter an attack. Loaded on a Kongo-class destroyer, Tomahawk would provide a visible deterrent with the staying power of a surface combatant, ready to engage on short notice. China’s military expansion in the region is another challenge for Japan’s Self-Defense Forces, including its numerical advantages of five times as many surface combatants and four times as many submarines as Japan. Coinciding with this arms buildup is the ongoing territorial encroachment and obvious militarization of island reefs across the South China Sea. Those actions can support the deployment of tactical fighter aircraft, naval warships and cruise missile batteries with the clear intent of projecting China’s influence and power while denying other countries the same. Tomahawk offers Japan an apt counterbalance to this buildup of offensive power—addressing the force imbalance and closing the gap in effective striking power. Its long range makes it a “force multiplier,” rendering a naval force employing Tomahawk significantly more effective than one without it. A Tomahawk-equipped destroyer can cover a wide area of operations and simultaneously hold numerous land and sea based targets at risk. Furthermore, Tomahawk can complement the effectiveness of other Maritime Self-Defense Forces by extending the reach and enhancing the combat power of the new amphibious assault force. Key to Japan’s defense is the bilateral security relationship with the United States, and perhaps the primary objective of the updated defense guidance. Likewise, Japan is central for protecting American security interests in the region and—some would argue—our most valuable ally. 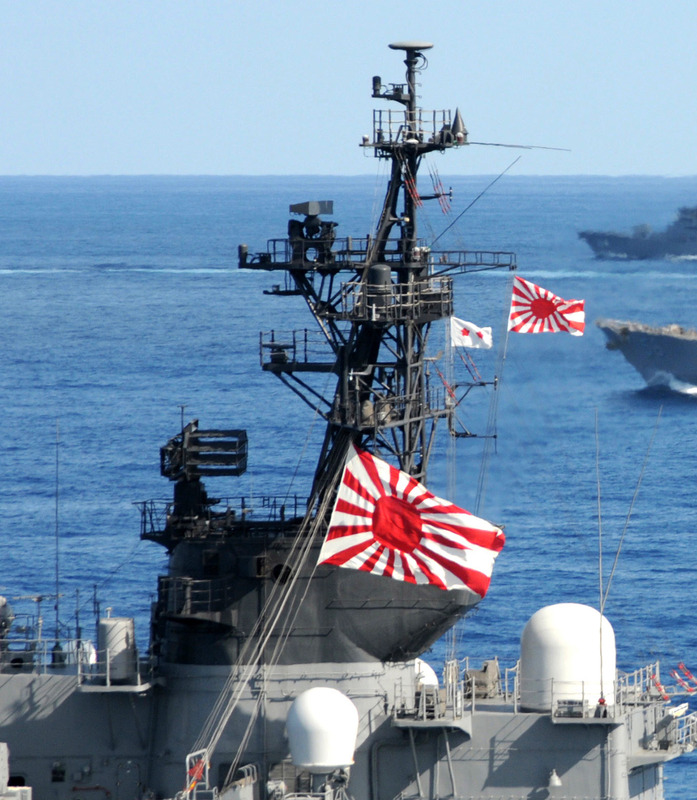 Clearly the United States and Japan have the same fundamental concerns in regional security. And the Unites States needs Japan’s assistance ever more to overcome the anti-access/area-denial challenges posed by China and Russia. Admiral Harry Harris (commander, Pacific Command) recently noted in a statement to Congress the growing gap between Chinese and U. S. forces in anti-ship weapons, and the need to address this challenge by equipping the Fleet with more longer-range and integrated offensive weapons. Tomahawk brings many of the capabilities that Admiral Harris is seeking, especially in terms of range, lethality, connectivity and operational flexibility. The weapon is well complemented by U.S. surveillance and targeting systems, and fully compatible with American naval doctrine and employment concepts. As such, Tomahawk would bring Japan a highly responsive and “networked” strike weapon that is a natural fit operating with a U.S. carrier strike or surface action group. The hazards we face in the Pacific are compounded by both the “tyranny of distance” and the constraints imposed by competing global commitments. The Department of Defense may be hard-pressed to meet the necessary force structure to sustain the administration’s “Asia-Pacific Rebalance.” Japan’s Maritime Self-Defense Forces, inherently forward-deployed in the Western Pacific, offer a responsiveness that can ease the burden on the American military. Our air and naval forces cannot be everywhere at once. But the Maritime Self-Defense Forces, equipped with such proven and integrated capabilities as Tomahawk, can help meet the challenge. Our alliances across the globe, especially those in the Pacific, give the United States a significant “asymmetric” advantage. They offer substantial military capabilities and regional influence to offset the growing strengths of potential adversaries. Indeed, the integral bond with our most capable “high-end” partners, such as Japan and Australia, stands in stark contrast to Russia and China, who have no comparable allies in the region. We should therefore seek the means to broaden and further solidify our security relationship with Japan. Equipping Japan’s Maritime Self-Defense Force with the Tomahawk weapon system is one way to do this. Providing Tomahawk not only recognizes Japan’s legitimate security needs, but also signifies a level of trust befitting a long-standing ally and a mature, stable democracy. Robert Crumplar has considerable experience in strike and electronic warfare missions from an operational perspective as well as from within the defense and aerospace industry. He is a distinguished graduate of the Naval War College and a former Federal Executive Fellow at the Brookings Institution, Washington, D.C.